I am a lawyer, a licensed real estate broker, a licensed real estate appraiser with extensive experience in property law, corporate governance, intellectual property law, administrative law, public communications, research management, marketing management and organizational development. I placed 6th among the bar passers from San Sebastian College Recoletos de Manila in the 2014 bar exams, where the school itself placed 7th in the 100 or more examinees category. 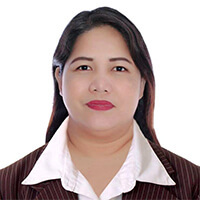 Education wise, I hold a Bachelor of Laws degree from San Sebastian College Recoletos de Manila and a Master in Business Administration degree from Jose Rizal University. I likewise hold a Bachelor of Science major in Psychology degree from San Sebastian College Recoletos de Manila. I just recently served as a Legal Officer (Officer II) at the Office of the Chairman of the Board of Trustees of the Government Service Insurance System (GSIS). I provided legal insights to the Office of the Chairman on board agenda matters in the exercise of the Board of Trustees’ quasi-judicial and quasi-legislative powers and provide technical assistance to the Chairman in his preparations for the Legal Oversight Committee and Corporate Governance Committee. 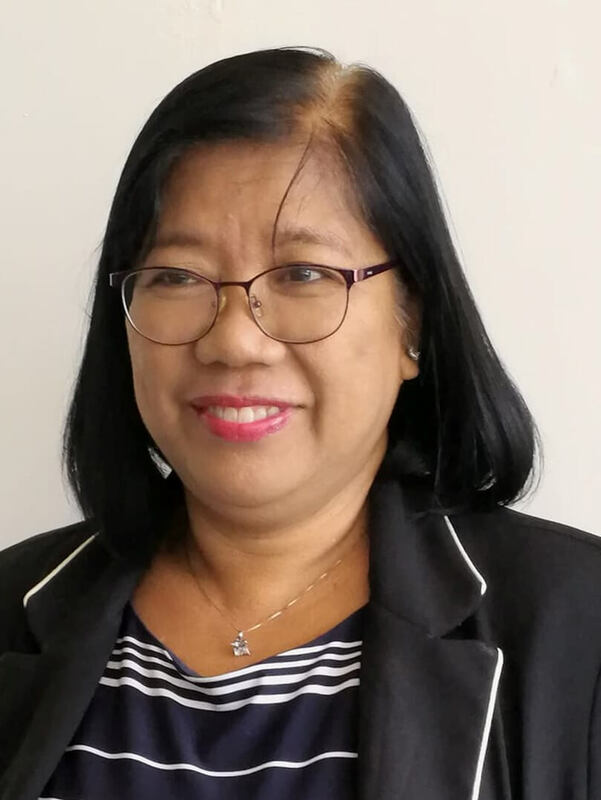 Previously, I was a Faculty Member at the Technological University of the Philippines and assigned as an Intellectual Property Officer at the Innovation and Technology Support Office – Technology Licensing Office (ITSO-TLO). I was responsible for providing legal advice to faculty and student researchers on their intellectual property rights. 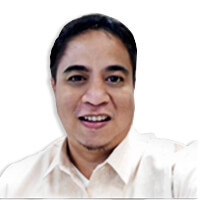 Prior to this, I was assigned at the University Research and Development Services (URDS), where I was designated as a Publications Officer for nine years and was mainly responsible for providing my technical writing expertise to faculty researchers and formulating research related policies. I originally joined TUP as the University President’s Executive Assistant where I was tasked to provide assistance to the President on technical affairs including communications and publications. As executive assistant, I authored the University President’s Strategic Plan, the TUP Position Paper on Asian Development Bank’s Confidentiality Policy, the TUP Rationalization on Tuition Fee Increase, prepared official messages and speeches and was the editor-in-chief of the various University publications. Going far back to the history of my professional engagement, I was the Head for Training Services at the Colombo Plan Staff College for Technician Education (CPSC). CPSC is an ISO9001:2000 certified intergovernmental training organization with 19 member countries mandated to promote the status of vocational and technology (VOCTECH) education among its member countries. I was primarily responsible for overseeing the logistical preparations of our 35 training programs a year, where each training program require meticulous preparations equivalent to workload of two months. I had the honour of authoring a detailed operations manual for the conduct of CPSC training programs. I was likewise, a member of the company’s ISO9001:2000 internal quality audit team and the liaison officer of its Graduate Fellowship Programme. My first professional engagement after college was as a Training Associate at the Corporate and Career (CORE) Consultants, Inc. CORE Consultants is a private behavioural training organization where I was responsible for marketing its various training programs and assisted in designing and conducting training programs customized to a particular client’s needs. I hold the distinction of being the first and so far only Training Associate to have solely authored a full blown training manual which I eventually sold to a client. As additional information, I was formerly a contributing scriptwriter for GMA7’s “Bubble Gang”, and likewise performed as an actor for TV and movies. I have a great sense of humour and with deep passion for filmmaking and the visual arts. 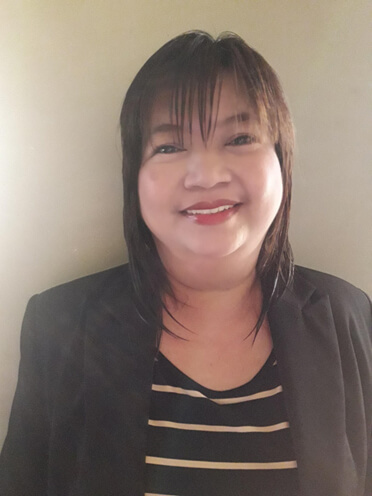 I am also the Vice President of the AMICADD Philippines, a professional organization devoted for the promotion of VOCTECH education in the Philippines. I love working out and I am a running enthusiast. Lawyer, Licensed Real Estate Appraiser, Licensed Real Estate Broker. Experienced Educator and Excellent Writer. Management Professional in the areas of Research Management, Public Communications, Marketing Management and Organizational Development. Assigned to provide technical expertise on key issues related to corporate governance, taking into consideration best industry practices and standards. Tasked to identify key weaknesses, risks and areas of improvement of various proposed policy and procedural guidelines or proposed amendments thereon. Ensure that potential corporate governance risks of a project and their magnitude and significance are well understood by functional groups. Present recommendations and follow up on implementation of recommended measures in corporate governance, as necessary. Work with functional groups to develop corporate governance improvement plans as needed to minimize and mitigate potential corporate governance risks and add value to operations. Prepare case briefs and provide legal insights to properly guide the Office of the Chairman on board agenda items in the exercise of the board’s quasi-judicial and quasi-legislative powers. Review and recommend amendments in draft decisions, pleadings, proposed policy guidelines, position papers etc., submitted by different functional groups for board consideration. Provided assistance to the Corporate Secretary on agenda development, board documentation and draft, review and revise board directives and minutes of the Legal Oversight and Corporate Governance Committee Meetings. Represented clients in criminal, civil litigation and other legal proceedings. Prepared legal documents and provided legal advise to clients on various legal transactions. Implemented established Policies and Procedures related to the protection of intellectual property. Made recommendations for the improvement of IP procedures. Provided quality legal services to the University leadership with emphasis on intellectual property related issues in general commercial and transactional issues for the University’s programs. Regularly communicated with the Vice President for Research and Extension on the progress of technologies arising from development efforts in University. Advised faculty and student researchers in the University on their intellectual property rights. Managed a portfolio of University-owned intellectual properties to generate significant royalties and fees and monitored the same for compliance. Negotiated drafts, and executed amendments as needed. Supervised the evaluation, protection and commercialization of University-owned intellectual properties. Evaluated the patentability of new inventions and was responsible for selecting the most commercially viable for patenting. Worked with inventors and uses online databases to identify prior art and competing patents to develop patenting strategies and prepare patent applications. Provided technical assistance to the Director of Research and Development and the Vice President for Research and Extension by formulating draft of research related University policies and draft proposals for programs and projects relating to the management of Research and Development of the University. Provided technical writing skills to researchers by rewriting their research papers and abstracts at a quality acceptable to international standards including, performing substantive editing that ensures document organization and quality of research projects. 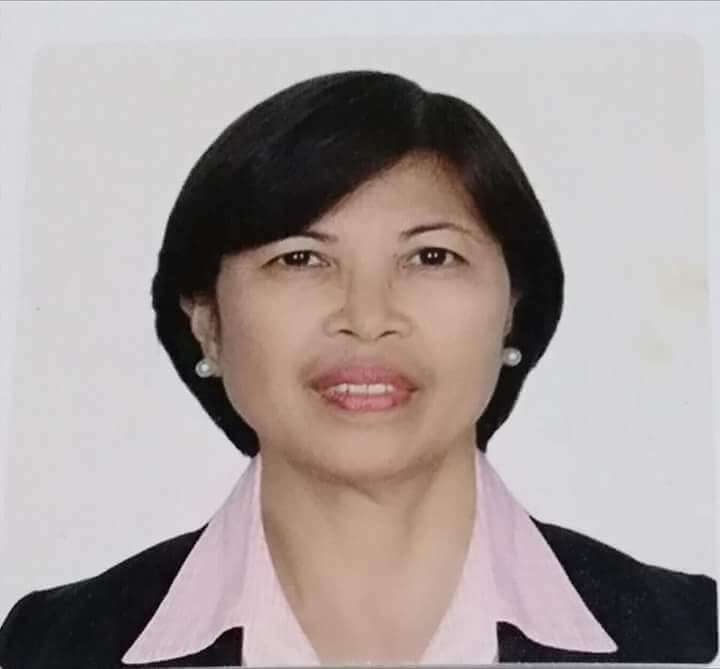 Performed as Head Writer and Editor-in-Chief of the TUP Annual Report and TUP Foundation Anniversary Souvenir Program and prepared the book of abstracts of the Annual Presentation of Research and Extension Outputs (APREO). Managed the Marketing Department and reported directly to the Vice President for Sales and Marketing. Conducted strategic investigation of the sales performance of the current projects and market research of the property market and developed comprehensive marketing plans and strategies in relation thereto. Implemented marketing programs and conducted evaluation of its effectiveness through continuous monitoring of sales performance for each project. Developed comprehensive public communication plans, schedules, and strategies on an annual basis for various University publication projects to effectively promote University programs, course offerings and other services as assigned. Managed the coordination and production of print and online publication projects outlined in the public communication plans to effectively promote University programs, course offerings and other services as assigned. 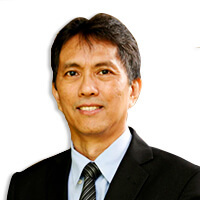 Performed as Head Writer and Editor-in-Chief of the various University publications such as TUP.COM (quarterly newsletter), the TUP Annual Report, and the TUP Foundation Anniversary Souvenir Program. Authored the “TUP Strategic Plan”, the “TUP Proposal for Tuition Fee Increase”, the “TUP Bulletin of Information”, the “TUP Position Paper on ADB Confidentiality Policy”, the TUP article featured in Manila Bulletin, etc. Performed as a ghost writer for the TUP President, prepared his speeches, his official messages, his article in the TUP.COM. Supervised the preparations of the 35 training programs a year of the CPSC with each training program requiring preparations equivalent to workload of two months. Authored the “CPSC Training Operations Manual” which served as guide to the whole organization as to the detailed preparations for each training program. Conducted lecture to international conferences, particularly on strategic management and authored paper presentation on strategic management. Assisted in the development of Organizational Development Plan including conduct of Training Needs Analysis for each employee. Designed in-house training programs, developed training modules in relation thereto and facilitated various training interventions. Corporate and Career (CORE) Consultants, Inc. Designed training programs tailored made to client needs and facilitated behavioural training interventions. Marketed the various pre-developed training programs of the company. Authored a full blown training program manual on Career Management.